The stage of disease at presentation is the most important predictor of outcome for colon cancer patients. Stage I (T1-2N0M0) disease carries an excellent prognosis of up to 95% 5-year survival rate after resection, and surgical treatment alone is considered sufficient; adjuvant treatment is not indicated.1 Patients with stage II disease (T3-4N0M0) also have excellent 5-year survival, averaging 70–80%, but a subset of high-risk patients have poorer prognosis.1 As such, it has been suggested that some stage II patients may benefit from adjuvant therapy, but the role of treatment in this patient population remains controversial. In contrast, adjuvant treatment repeatedly has been shown to improve survival for stage III (TanyN1-2M0) disease. Bullard Dunn K. Adjuvant and neoadjuvant therapy for rectal cancer. 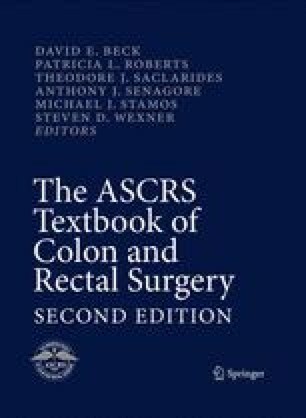 Access MedicineUpdate, Schwartz’s principles of surgery. 8th ed. doi: http://www.accessmedicine.com/updatesContent.aspx?aid=1000693. Swedish Rectal Cancer Register. http://www.SOS.se/mars/kvaflik.htm.